On Saturday, August 20th and Sunday, August 21st, the 3rd annual Billboard Hot 100 Music Festival took place. Thousands of people of all age groups took a trip to The Nikon at Jones Beach Theatre to experience this two-day festival of music and fun. Headlining acts that performed included Zedd, Big Sean, and Demi Lovato on the first day, and DJ Khaled, Major Lazer, and Camila Cabello on the second day of the festival. Other artists that had a set at the festival include rappers, like Gucci Mane and T-Pain, and even DJs, such as Marshmello. Demi Lovato stole the show with her new single “Sorry Not Sorry,” as Big Sean got the whole crowd bouncing to his hit song “Bounce Back.” Of course, DJ Khaled played many of his hits, such as “I’m the One” and “Wild Thoughts.” He even brought his 10 month old son Asahd, wearing a protective pair of headphones, onto the stage to dance along with the crowd which made for a beautiful moment. There were four stages that attendees were able to visit throughout the day. The headliners and well-known artists performed on the main stage, known as the “Hot 100 Stage,” while rising stars that are under the radar performed at either “Sun Stage,” “Beach Stage,” or “Heatseekers Stage.” In addition to these four stages, radio stations and DJs played music throughout the mezzanine and held dance competitions to keep everyone in high spirits. Luckily, both Saturday and Sunday had great weather with highs of 80 degrees and sunny skies. The festival ended Sunday night with Major Lazer, who successfully closed out two days worth of friends, music, and fun. 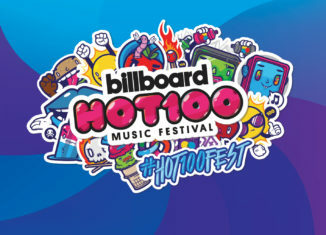 The EDM music trio had the crowd jumping up and down until the last minute at 11 PM with their hits such as “Cold Water” and “Lean On.” All in all, the Billboard Hot 100 Music Festival was definitely a blast, and I hope to see you there next year! Where Were YOU During the Great American Eclipse of 2017?